First Name: A first name is required. Last Name: A last name is required. Please select a project to manage your subscriptions for that camera. Emails are only sent when the camera is live and has time lapsed an image for the current day. The system will send an image that is closest to your subscribed time. Please select a project to manage your alerts for that camera. Receive automatic email alerts when your camera fails to capture images. This is a great way to be notified if your camera has been unplugged or misconfigured and is not time lapsing. NOTE: You must have at least one active time-lapse for alerts to work. The default alert (Frequency: 24 hours, Reminders: Every 1 week) is sufficient in most cases. Upon submit, TrueLook will reload and you will log back in to see the linked camera(s). You may connect your Procore account to TrueLook. This will allow you to easily invite users to join TrueLook and share imagery back into Procore. CONNECTEDYou have authorized TrueLook to communicate with Procore. You may undo this and deauthorize TrueLook from Procore by clicking here. You may connect TrueLook to your PlanGrid account. This will allow you to easily invite users to join TrueLook and share imagery back into PlanGrid. CONNECTEDYou have authorized TrueLook to communicate with PlanGrid. You may undo this and deauthorize TrueLook from PlanGrid by clicking here. You may connect TrueLook to your Autodesk account. This will allow you to easily invite users to join TrueLook and share imagery back into Autodesk. CONNECTEDYou have authorized TrueLook to communicate with Autodesk. 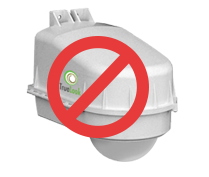 You may undo this and deauthorize TrueLook from Autodesk by clicking here. Copyright 2018 TrueLook Inc. All rights reserved. Custom movie maker - create your own movies with music, watermarking, specific date ranges, etc. Admins may now update rendered time lapse movies anytime -- visit the Media Export and press Update Movies. Improved branding with your logo! Save images via the Download dialog and watermark them with your logo. Additionally, you display your logo on the Live Camera view now by enabling this option within your Project Info. Time lapses creation/editing tools have been improved to a more intuitive layout, including a simple option for 24x7 time lapses. Sharing directly to your LinkedIn newsfeed is now available. Once logged in, go to My Account and select the Integrations tab. Follow the instructions, and LinkedIn will be enabled on your sharing controls. We've streamlined our navigation and sharing tools to a more intuitive design that is consistent across all devices and screen sizes. User management has been streamlined to simplify administrative tasks like adding, editing, and reseting user logins. You'll be able add/remove users on multiple cameras at once while still specifying desired permission levels. New users will also receive welcome emails with all relevant login information. Your organization's contact list is now available when you log into TrueLook. This will make sharing information amongst your team easier when using the Email function under Save/Share. You may also now send to multiple recipients at once. You may now link shared cameras from other customers into your account so you can view them all from within your dashboard. Simply input the sharing URL from any camera into the Link Cameras section under My Account. Additionally, you can create email subscriptions and alerts for any of the linked cameras. The time lapse image calendar for completed projects is now accessible online just like active projects. We've updated our time lapse rendering engine to provide you the best possible movies for showcasing your project. Multiple movie styles are generated automatically for you including a new daily movie updated nightly. You can now choose which movie style to view as well control its playback speed when using Watch Time-Lapse. TrueLook is happy to announce onboard security recording is now standard on all camera models. Our next generation of PTZ cameras are now available! They feature a high resolution 2 megapixel 1080p image, live streaming video, and 24x7 onboard security recording. Contact info@truelook.com for pricing and additional details. PTZ camera viewfinders may now be updated by administrators in the Camera Settings area. PTZ cameras now support click to move and drag-zoom operations directly on the live video stream. Additional UI bug fixes and improvements. Image comparison capabilities have been enhanced and improved. You can now compare four images simultaneously in our new quad-view mode within your time lapse gallery. Additional improvements have been made to the comparison overlay mode as well. Slideshow mode - display or share your project's media without providing camera access. Live streaming engine improved, full screen video added for mobile. Capability for administrators to disable camera access as needed. Real-time live HTML5 h264 streaming video has been for all devices has implemented. This feature will be rolled out to qualified accounts during Q1 2016. Video inactivity timeout increased to 2 minutes. Application load time optimized and reduced for increase performance. International current/historical weather and mapping support has been added. Automatic time lapse generation algorithm improved to reduce file size, increase quality, and standardize the video frame rate. Ability for administrators to delete security recordings has been added. New feature notification -- whenever TrueLook is updated, we'll alert you so that you can make sure to take advantage of our latest improvements. Admins may now delete time lapse data from the system. This is an irreversible operation. Burn timestamp information directly onto images that you download. Password reset and recovery feature now available via user login screen. Specify the date and time ranges of images to export. Please enter a name for this custom movie. All images collected, including future ones, will be used in this movie. Only images captured during this date range will be part of the movie. The camera could be experiencing a momentary loss of power or data connection. Wait a moment and then retry. If you believe there is a continued problem, please report the issue. Verify that the camera has power. Often, a breaker can be tripped, a circuit is off, or someone has unplugged the camera. If you are 100% certain that power is reaching the camera, check for lights inside the unit. Can you hear sound or feel a vibration from the internal fan? A breaker may need to be reset. Open the battery box. Switch all breakers to OFF. Switch them back to ON in order. If the system is not online within 5 minutes after above, please contact support. Your camera administrator has disabled live access to this camera. The camera is still online and operating, but live viewing is not available at this time. Your logins will never expire and we will never delete your media. You may view or export images & video at any time. Please check back once your camera is live to review data here. Use the calendar below to select a date, then choose which videos to fetch from the camera's storage. Once the video(s) are fetched from the camera, you will receive an email notification. You can then watch or download the videos from this page. Note for PTZ Cameras: You can set a default security-recording position for your camera. When the camera is not in-use, it will return to this preset of pan, tilt, and zoom coordinates. This can increase your chances of capturing any incidents. From your live Camera View, create a Preset View. Then select the Shield icon for the preset position you are most concerned with capturing on video. No security recordings exist yet. Recordings are created automatically by the camera when motion is detected (if applicable) or as scheduled 24x7. Additionally, you may wish to embed your camera interface directly onto your website. This is accomplished easily with simple HTML code. Provide one of the links above along with the code below to your web developer. They will merely need to insert the link and code onto your website. The camera will then be visible on your webpage with the proper aspect ratio. TrueLook also offers the ability to showcase your project as a slideshow. This is useful for marketing and presentation purposes on your website or large display within your office. The slideshow will rotate through your time lapse images and movies and update daily with latest information. The slideshow can be linked to directly or embedded onto your website as directed above. This link provides no access to the camera whatsoever. Note: Emails are only sent when the camera is live and has time lapsed an image for the current day. The system will send an image that is closest to your subscribed time. Email: Please enter a valid email address. Camera specific settings may be altered here. Some options may not be available depending upon your camera type and/or if it is live. Your camera viewfinder updates automatically shortly after your camera is powered up and once a week thereafter. If necessary, you may also manually update your viewfinder by clicking the update button. The process takes 3-5 minutes to complete. Your camera has an onboard auto-focus which can be triggered to fine-tune the image. If your camera image is not clear, you can use the focus to improve its clarity. By default, your camera is accessible by users who have a login and/or sharing link. However, there are times when you may wish to prevent users from viewing the live camera. By disabling camera access, non-admin users will not be able to view or interact with the camera. As an admin, you will still be able to operate and view the camera. All other camera operations, including collection of time lapse imagery, will still continue as normal. Please enter an alphanumeric lowercase username between 3-32 characters. Send welcome email to new user. It will contain their login information and additional details. Delete User Permanently This user is assigned to other cameras and cannot be deleted. Create and modify users, time lapses, etc. If this error repeats, please contact support@truelook.com. Upon close, this interface will reload itself. From Email: required Valid email required. Only alphanumeric characters are permitted. A panoramic is a high resolution image created by stitching together multiple pictures from your camera. Highlight the desired area in the image above you wish to capture. It is best to choose just the area of interest of your project. This will schedule a time-lapse using the camera's current view. If using a PTZ camera, ensure that have aimed and zoomed the camera exactly where you want the time-lapse to occur. The most common time-lapse interval is 15 minutes. Remember, you may create multiple time-lapses to capture different camera views or schedules. You can also edit or pause/resume shots from the Time-Lapse page. You are able to edit a time lapse's start/end dates as well as the frequency. If you pause a time lapse, it will no longer capture pictures until you restart it. Any time lapse with an end date before today will not run anymore and is considered complete. Panoramics require a large amount of camera time and processing power to generate. As such, the minimum interval is every hour. You may only create one panoramic time lapse. If you make an error or need to undo this operation, please contact support. Please enter a name for this time lapse. Start: Please enter a start date. End: Please enter an end date. This will permanently delete the time-lapse and all associated images. This cannot be undone. Any videos and images from this time-lapse will be gone forever. Please re-enter your password to confirm. This image will be posted to the associated Procore project with your optional comments. This image will be posted to the associated PlanGrid project's documents folder. This image will be posted to the associated project in Autodesk. This image will be posted to LinkedIn with your optional comments. 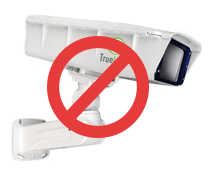 Only users with a TrueLook login will be able to actually access the camera. This image will be saved to the online photo album with your comments. Copy the code below to link directly to your movie or embed into a website. The movie will always be automatically updated for you. To save, long press on the image and use your device's menu to save the file. Please enter the email address that is associated with your account. You will receive an email with instructions to reset your password. If you need further help, contact support@truelook.com.